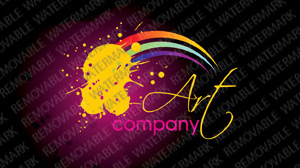 Art and Photography : All Art & Photography Logo Templates are designed with photographers, art dealers, galleries, and artist portfolios in mind. If you are an artist or a photographer, template 25784 will help represent you artistically! Bonus with every purchase With each template purchase you get Free Web Design Elements: photos, fonts, icons, 3d models, sounds. Buy template 25784 from zeronese today and get access to the Free Clipart & Free Web Design Elements library.